An untouched wild paradise in Bali. Being in Nusa Penida is simply magical and peaceful. Expect breathtaking views and beautiful hidden treasures that are still lesser known by tourists. What to expect? Nusa Penida is an island located in southeast Bali, that is separated by the Badung strait. 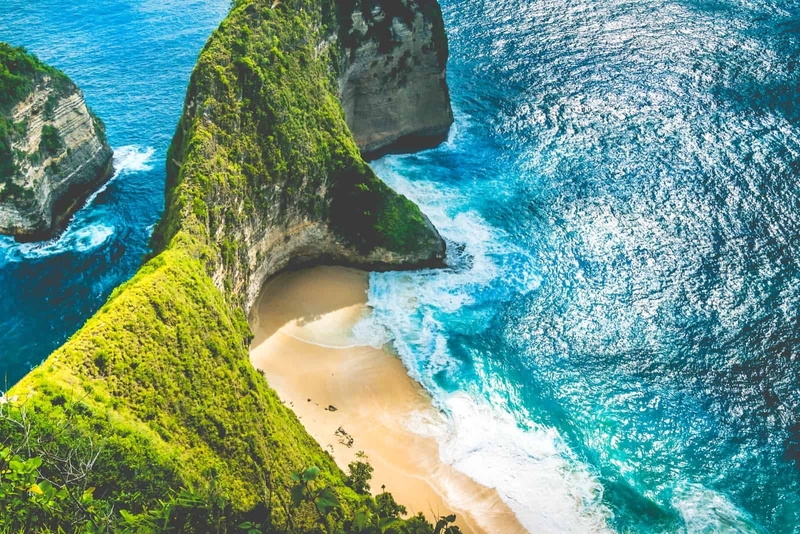 Acclaimed to be a dreamy paradise for those who have been there due to the exquisite surroundings, the islands in Nusa Penida highly depends on fresh products like food that are transported by boat due to lack of fresh water. So, do expect higher prices during your trip in Nusa Penida compared to other places in Bali. You can venture this island by yourself or take a tour package. For groups, it is best to take guided tours as the price can be cheaper when shared and you can try to negotiate with your driver. A day trip to Nusa Penida can be arranged in so many ways as there are many interesting activities and sights to visit. If you are a first timer, it is suggested you take a tour provided due to their expertise on where to bring the best of Nusa Penida. It is best to start your trip in the morning, typically at 9.00 am. Get to Sanur Harbour and take a speedboat for 30 minutes journey until you reach Nusa Penida’s Toya Pakeh Harbour. Your adventure should start with Angel’s Billabong, a beautiful natural infinity pool uniquely framed by rock cliffs and an arch by the sea. Take a dip in the emerald green pool, with seaweed base that are so soft it makes you feel like stepping on carpets! Be extra careful if you are not a good swimmer and keep yourself away from the edges of the pool. The rogue waves might be dangerous during high tides. Then, explore Broken Beach or locally known as Pantai Pasih Uug just 150 meters away from Angel’s Billabong. What is so unique about Broken Beach that it is not just a sea but a combination of other nature structures in forms of walls and cliffs. Shaped like a giant bowl, enjoy the huge waves crashing the beach from atop. Continue your trip to Kelingking Beach Secret Point located less than 10km away from Broken Beach. The famous viewpoint is shaped like T-rex and located at a cliff. It’s definitely thrilling to make your way to the end of the viewpoint due to the heights and spectacular views but be careful as the steps to get there might be a little steep! At Angel’s Billabong, do not swim to close to the edge if you are not a heavy swimmer. The safety at Kelingking Secret Point Beach is not at best. Be extra careful when you walk along the edge while enjoying the breathtaking view. When underwater, do not dive or snorkel too far from your group or instructors. The most convenient spot to get to Nusa Penida is from Sanur, Bali. Food and basic necessities in Nusa Penida can be a bit pricey. So, do bring extra cash. Some attractions might require entrance fee which is excluded from the price of your guided day trip. Do enquire with your tour operator and make clear arrangements. Roads in Nusa Penida are very rugged. Travelling with a motorcycle can be both exciting too. Be sure to wear your helmets! If you wish to stay for a few nights, Nusa Penida makes a great destination for your dream island holiday. You can explore nearby islands like Nusa Lembongan and Nusa Ceningan. Day trip to Nusa Penida is possible if you are a solo traveller who wish to experience more exciting challenges. A great tip is to make friends with the friendly locals! Don’t worry about transportation as there are scooter for rentals from IDR 75,000 per day.